**These functions of this product work with nearly all Garmin® GPS units, excluding the GPS100 family and panel mount aviation units. Mac users using Internet Explorer must use v5.0 or above to view this Map Viewer. System requirements: Pentium or equivalent processor with Windows 95, 98, ME, NT 4.0, or Windows 2000; 16MB RAM; 100MB free hard disk space; CD-ROM drive; 256 color display adapter and monitor; available serial port; mouse or other pointing device. 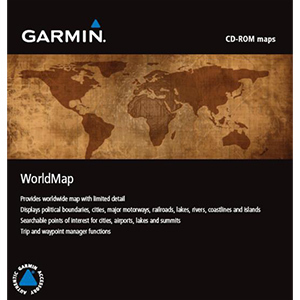 NOTE: Garmin makes no warranty as to the accuracy or completeness of the map data. Warrning: The user is solely responsible for safe navigation and the prudent use of this product. 010-00596-20 Astro Bundle (Astro 220 and DC 40) No Longer Available.